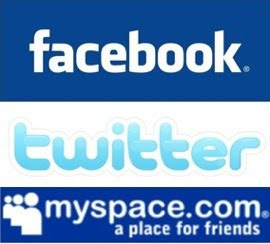 Archive from category "social networking"
A June 2009, 2,600 hiring manager survey from Careerbuilder found that 45% of employers are examining your online, social networking presence (especially Facebook) to learn more about you before they make a hiring decision. Well, we probably knew that this was happening. Apparently, it’s up from 22% last year. Again, no surprise that it’s rising. Which Social Media Sites Would You Pay For?